Travelling light? Here are my top five most-used space-saving baby things. You’re welcome. 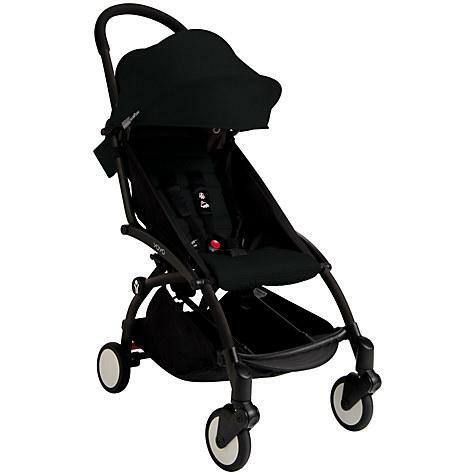 The Yoyo Pushchair, recently reviewed here, if you want to read more about it. Folds down so small you can fit it in an overhead aeroplane locker and is great if you have a small car with limited boot space. It’s £339 here. 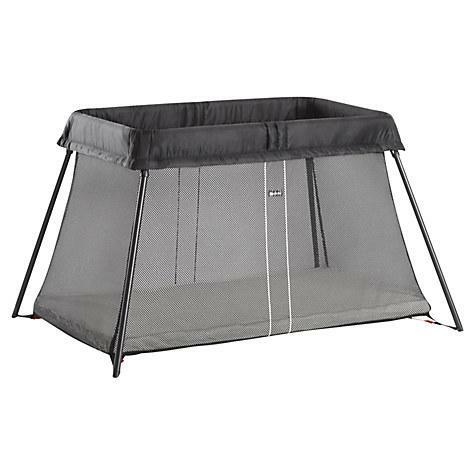 The Baby Bjorn Travel Cot, reviewed here. Just brilliant – seconds to set up, lightweight, ultra-slim when folded down. I can’t recommend this enough. It was pricey, but I’ve definitely had my money’s worth out of it and I take it with us on trips away even if a cot is promised wherever we’re staying! Find it online here – £199.95. 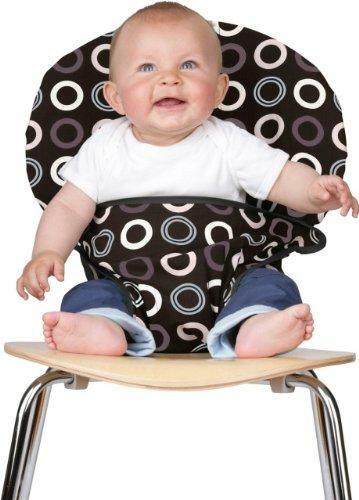 The Washable Squashable Highchair from Totseat fits pretty much any dining chair and means that you always have a reasonably serviceable baby seating option with you wherever you go. This folds up small. And it’s not perfect – it’s not like using a proper high chair, with a tray and so on – but it does the trick when the alternative is sitting the baby on your lap and getting covered in mush. 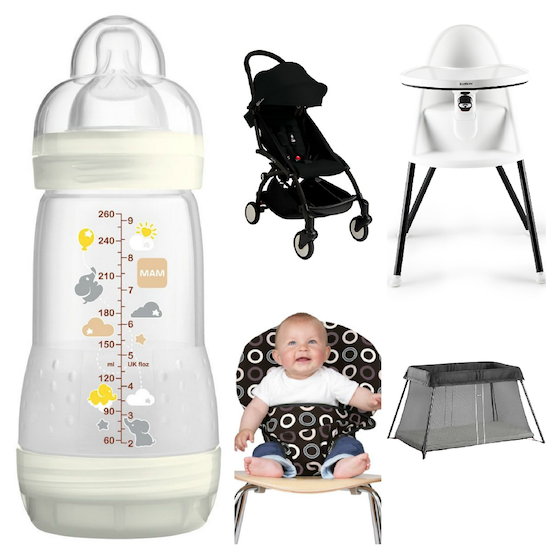 £23 at Amazon here – a great addition to the frequent traveller’s baby arsenal! The Self-Sterilising Bottles from MAM mean that you can travel completely steriliser free so long as you have access to a microwave. These are the only bottles I continuously used; I started on them because they came with my first ever breastmilk-expressing kit and the baby took to them well, but not having to faff about with sterilising tablets or those big microwave tubs soon became the overriding benefit. Find them here on Amazon – £12 for three. May I suggest another fabulous Baby Bjorn space-saver? 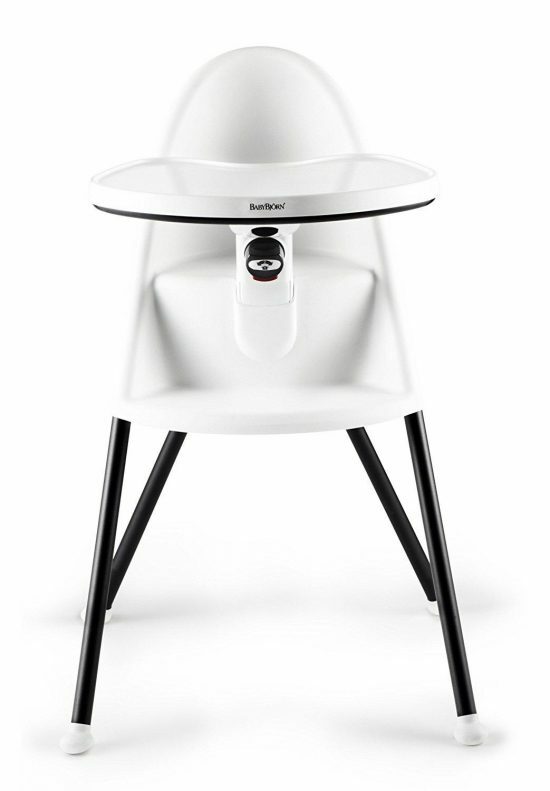 Say hello to their innovative highchair which has a folded width of just 25cm, easily detachable legs and is about half the size of one of those big padded monstrosities that come with air force-style restraints and a tray big enough to play poker on. No child’s seat needs to be that big! They’re like alien control pods! The Baby Bjorn is stylish, sleek and everything is completely wipe-clean – the tray goes in the dishwasher. If you’re short of space in your bijoux apartment then this is the chair for you – we happen to have a big kitchen but hate clutter, so also a good one if you like your baby stuff to be tucked away rather than on display. It’s £148.95 here. Next Post Ask the Midwife!